Artist Craig Clarke considers the many layers of existence through the tangled sculptural forms. 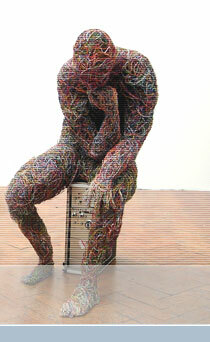 Made from communication wire used for the Internet. 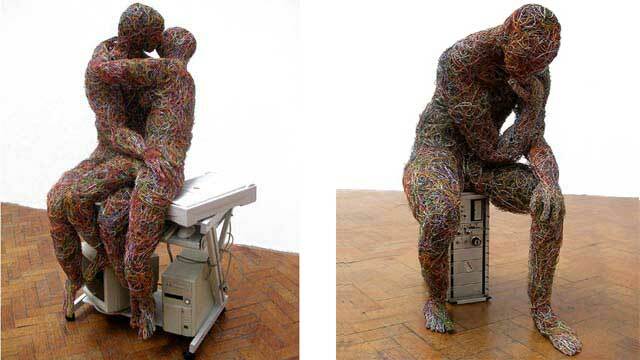 Gallery Sculptures : Based on our possible evolution into Robo Sapiens. 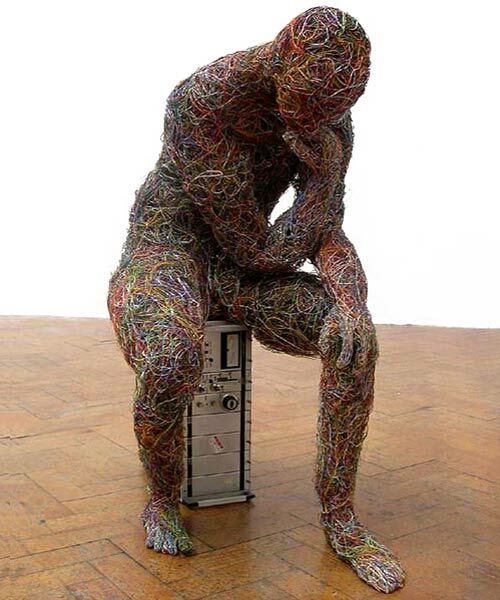 Mixed media : Internet Wire and Computer Parts. Digital Image Downloads available shortly.